Project City along the Qargha-Lake, Kabul, Afghanistan. 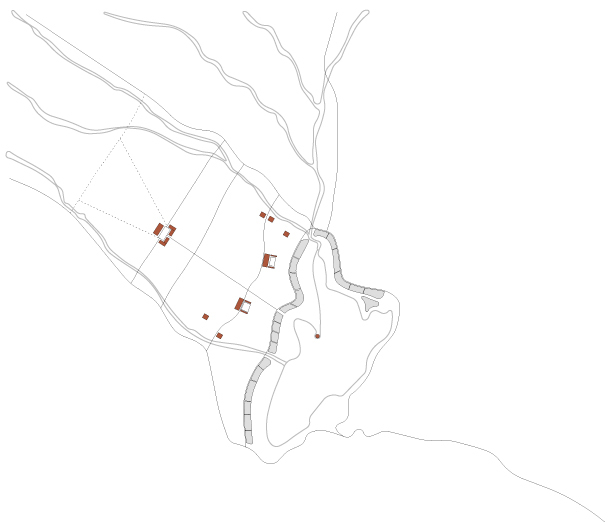 Facts: Commission by the Qargha Lake Settlement GmbH, Zug | City for 10 000 Residents along the Qargha-Lake, Kabul, Afghanistan | Master Plan and Type-Houses | Design 2004 | Area: 150 ha. Architects: Ivica Brnic, Florian Graf, Wolfgang Rossbauer (Brnic | Graf | Rossbauer Architects, Zürich). After thirty years of war and the „liberation“ by US forces Afghanistan is in a phase of rapid reconstruction. Especially in the cities along the central Asian road (Kabul, Herat, Masar-i-Sharif) countless uncontrolled residential and commercial areas are sprouting out of the earth. „Finished“ urban design, as can be implemented by totalitarian government, needs an entirely new approach: Changing power constellations, as well as market economy mechanisms, redefine the urban development and the form of construction on a daily basis. 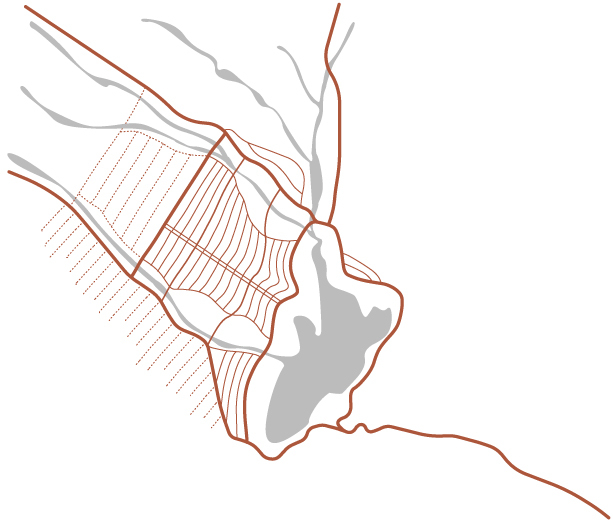 Approximately twenty kilometers west of Kabul a town with complete infrastructure is to be created for diplomats and the rising afghan middle class. Many of the returning expatriates, who have settled in foreign countries during the countless wars, now return to build businesses. Kabul in the middle, Qargha around 20 kilometers to the west. The 250 hectare area, with a largely southern inclination around the „Qargha“ lake, is served by a regional road. 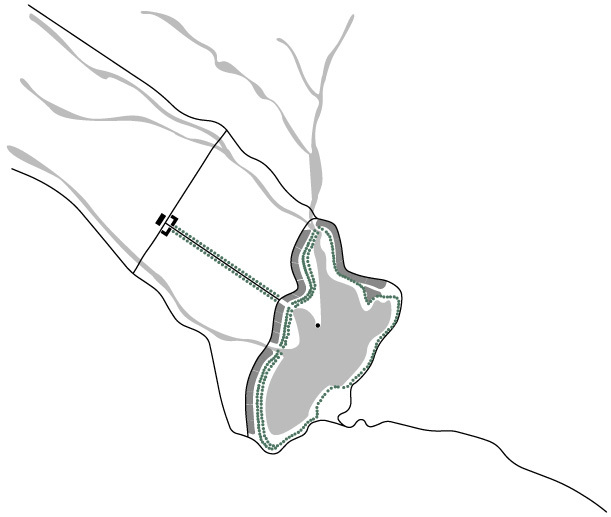 A circular system of roads around the lake ensure the fastest access to the regional road for all parts of the city and can be expanded simply by adding additional road following the contour lines of the landscape up the hill. All sections of the city are divided into subdivisions, which are also organized along the contour lines. The subdivisions are accessible from two sides and can be divided into building lots of 500 to 2000 square meters, in special cases a merger of up to 20 000 square meters. 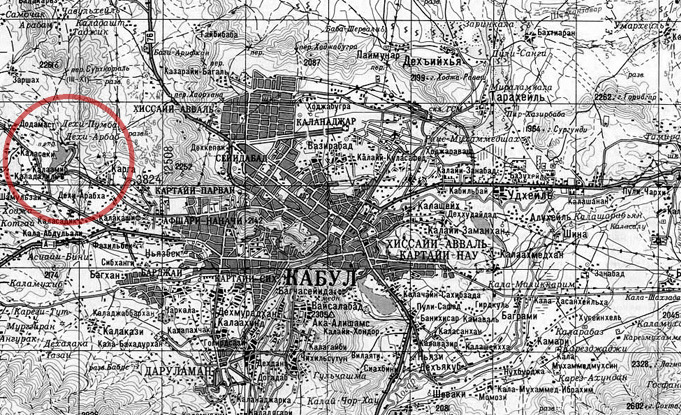 On some prominent points in the topography in the center of the city large squares are planned which are to be flanked by representative public buildings. These offer a quiet public terrace with views on the lake. An axial street pierces the city center. This gives the city structure and connects the administrative buildings and northwestern neighborhoods with the lake. At the beginning this avenue will be lined on both sides by trees, these will successively be replaced by buildings: Commercial buildings line a broad shopping street which meets the lake promenade. The mosque, being the point of orientation for the whole city, is placed in the middle of the lake and in line with the axial street. Public buildings around the lake and at prominent locations in the city. Parkways around the lake and in the axial street. The lake is pronounced as the center of city by the surrounding promenade, which is lined on both sides by trees. This promenade is underlined by hotels, restaurants and luxury apartments which are served by a secondary road running behind them so that they can be in direct contact with the pro-menade. Large parks surround the mouths of the rivers feeding the lake in spring. The banks of these streams already offer a rich natural habitat and will add great quality to the city as natural reserves. It will serve the neighboring building as natural leisure park. The concepts determining this city can be summed up as a combination of „tracing nature“ and „artificial elements“. On the one hand the planning attempts to read natural realities, such as of orientation, topography, and bodies of water, in order to integrate them in the basic structure that generates the city. The pronunciation of these elements gives the city an identity, which can be generated with minimal means and endure changing premises. On the other hand there are memorable formal artistic implants. The strongest example of this is the main axis street between the administrative buildings and the mosque. This gives the heart of the city a metropolitan dimension. This kind of formal artistic intervention requires a political will and effort to be implemented. The combination of these approaches is sustainable in two ways: Through the strong integration of the „present realities“ of the planning it has high chances of being implemented. It follows a natural logic of which the spatial impression can assert itself in future phases. Also the efficient access and versatile plots allow a reaction to eventual unforeseeable events.